Duty, reflection and study are the gateway to opportunity, as such one honors those relationships to God, family, country and Masonry. The degree teaches Masonic honor; that honesty and trustworthiness is the cornerstone of the foundation of such. This virtue should be in all of our undertakings with mankind. In this degree one should expand their knowledge of duty, charity and toleration. We are instructed to reshape ourselves and our thinking into charity, self-control, and success i.e. to be a peacemaker. We learn that impartial justice protects person, property, happiness and reputation. We are instructed to judge with patience and impartially. We should strive for perfection by using the great principles of "God's inherent love, charity, morality and kindness". Truth, candor and generosity; the foundation of Scottish Rite Masonry is most reflected in this degree. We should use these truths to shape our lives and conduct. This degree teaches us to be tolerant and respect the opinions of others. Freedoms of political and spiritual ideologies should be shared by all. This degree teaches sympathy. We should be compassionate to our brother Masons and to all mankind as well. This degree teaches faith in morality and virtue and in God. "Life is what each man makes of it; the optimist turns a trial into a blessing. Liberty; in our mind and our hearts, motivated by duty and honor are the lessons of this degree. This degree teaches us to reflect and scrutinize oneself. We should strive to be true to ourselves and our God. Fidelity to obligations and perseverance of purpose under difficulties and discouragement are the lessons of this degree. We learn "heroism of patience, the nobility of self-sacrifice" and compassionate judgment, along with charity, fidelity and brotherhood. The wisdom of this degree is that loyalty to God is man's primary allegiance and the temporal governments not founded upon God and His righteousness will inevitably fall. This degree emphasizes that life and its strength come from God. The rose signifies the dawn and the cross is a sacred symbol of antiquity in many cultures. One is also taught to be tolerant of others errors and their faults. We learn from the past and how it affects the present and the influence we live in the future in this degree. We as mortals strive to endure, produce and improve the world as it surrounds us. This demonstrates liberty, fraternity and equality. These truths teach morals, religious and philosophical understandings. This degree helps one to comprehend Deity, forces of nature, good and evil. The lessons to be learned from this degree are that arrogance, defamation and cowardice are unworthy attributes of a Mason and that humility, modesty and courtesy are the true virtues of men and Masons. We learn in this degree that the man who forgets his duty to God, family, country and himself will be in danger of moral and spiritual destruction by thoughts and unworthy ambition. 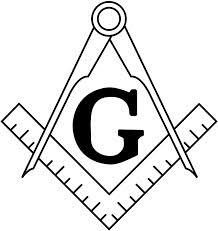 A Mason must show evidence of compassion, piety and justice in this degree. After initiation he may "manifest faithfully the social virtues in order to receive the rewards", to serve humanity through our brotherhood. This degree attempts to explain the conceptualities of celestial purity and the eternal soul of man. The apprentice is driven to look within his faith, life and God and to get a clear look at his inner self. In this degree we explore for "the rewards of the trinity of Gods attributes - wisdom or intelligence, force or strength, harmony or beauty". This degree teaches the apprentice to scorn selfishness, and to uphold the knightly virtues of charity, truth and honor. We should always strive to assist the poor, helpless and infirm. We learn in this degree that our love for God manifests itself in our love for truth, justice and nobility of soul. The virtues taught in this degree are "Love of God, loyalty to superiors, faithful adherence to promise and active resistance to unfair judgment." The lesson of this degree is to be true to ourselves, to stand for what is right and to be just in our lives today with a belief in God, country and oneself. In this degree the apprentice learns prayerful self-examination. The mistakes today should not be committed tomorrow. Simply, the daily look at one's self to learn to live with the future. The lessons taught in this degree are that genuine brotherhood requires mutual regard, opinion, esteem and charity. We always look for the good in all, make allowances for others' shortcomings. We trust the Supreme Architect to lead us to friendship, morality and brotherly love. 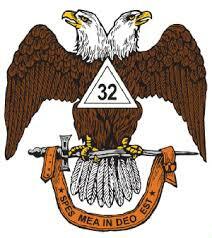 The ﻿Scottish Rite﻿ is part of the worldwide craft of Freemasonry. To learn more about Freemasonry, please visit the ﻿Grand Lodge of Tennessee F&AM﻿.